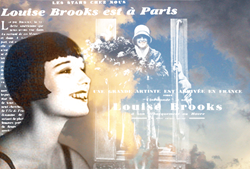 BASICMAGIC announced today that it has acquired an exclusive option for a film rights agreement for "Lulu in Hollywood", the internationally acclaimed book by silent film star Louise Brooks. Louise Brooks had a brief but brilliant film career in the 1920s, and her work with director G.W. Pabst in Europe including "Pandora's Box" and "Diary of a Lost Girl" is still regarded as ahead of its time today. BASICMAGIC principal Vincent Lesh said that its a great honor to be the first production ever granted the right to the only book that Louise Brooks wrote, to share the story of her career in cinema for his film in development, LOST COMET. "Although this asset is no guarantee of success," Lesh said, "I am grateful just for the chance to try, and have her own words to help light the way." BASICMAGIC has launched LOSTCOMET.COM to allow the public to preview the story and screenplay for LOST COMET, by Vincent Lesh and Judith Sobresky. "It's exciting to make this film now, because there are so many potentially great candidates for the role of Louise Brooks including Natalie Portman, Rooney Mara and Zooey Deschanel," said Lesh. LOST COMET tells the story of the silent film star Louise Brooks, who rebels against Hollywood in the 1920s but makes a few great films in Europe before disappearing forever.